Have you ever heard someone tell you, “I am sick all winter”, or “I am always sick”? Barring allergies, this could actually be a symptom of short telomeres and a weak immune system. Can one exist without the other? Well, the immune system is a complex interaction between all kinds of cells that “present” pathogens and others that fight them off – but with aging, it’s pretty clear the T cell compartment takes a pounding. That means that premature aging will do the same thing. And what measureable event happens in senile T cells? Their telomeres shorten! Conversely, if you treat with a Telomerase Activator like TA-65, the immune system “de ages” and the T cell compartment gets stronger with longer telomeres. Now this has a lot of implications, especially if you believe as I do that the immune system maybe the central coordinator of the aging process (in response to increasing percentages of short telomeres). On a more basic level, a recent study in the Journal of the American Medical Association found that people with shorter telomeres got colds more frequently and had worse symptoms than those with longer telomeres. This of course mirrors our experience with TA-65. Fewer colds are often one of the most common things people notice and report. One of the most interesting things about this study is it was done on relatively young people (ages 18 to 55). This means that shorter telomeres have clinical implications long before we reach old age, something that scientists are just beginning to understand now. Globally there was a 25% decrease in the infection rate based on telomere length. Now if you remember pneumonia is the “Old man’s friend” and that infection and cancer are the big killers of the older old (85 to 100) you can also see the implications for life extension! In addition to considering TA-65, I should remind you I also make something called Immune Booster. The active ingredient (elderberry extract) has been shown to interfere with viral binding to cells, thus helping to prevent spread of viral infection in the first place. No matter how you look at it, the immune system has major implications for your health, work, and convenience. And maybe if you are older or have a weak immune system it goes far beyond that. It may affect your longevity. 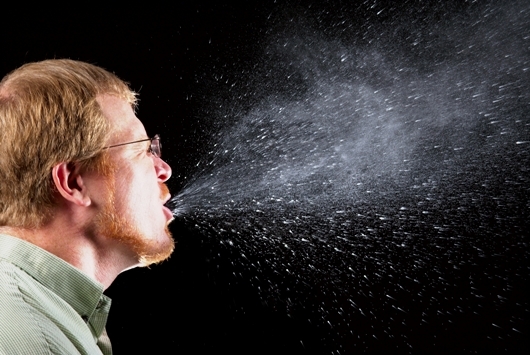 Catching fewer colds is no joke! Stay young strong and healthy! Anti-influenza virus effects of elderberry juice and its fractions. Kinoshita E, Hayashi K, Katayama H, Hayashi T, Obata A. Been on TA65 and have not had a cold in 3 years. Thank you, Stan. Keep an eye out for our survey. The lack of colds is one of many big things people notice on TA-65!